Download Ridgeland Life Fall 2015 and get caught up on city news, learn about upcoming community events, and view the fall lineup of recreation and parks programs. Also, don’t miss news from local schools, the public library and the Ridgeland Chamber of Commerce! Thank you to our lovely models on the cover, Liz Green and Linda Loper, who are enjoying a brisk walk during the Mayor’s Fun Walk 2014. If you are interested in advertising in Ridgeland Life, please contact our Sponsorship Coordinator, Julie Cox, at 601-853-2011. 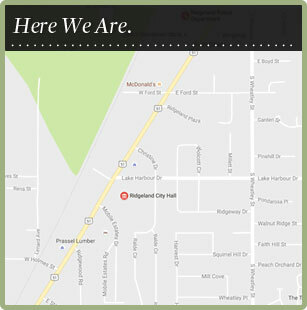 For questions or comments about Ridgeland Life, contact Sandra Monohan at 601-856-7113.